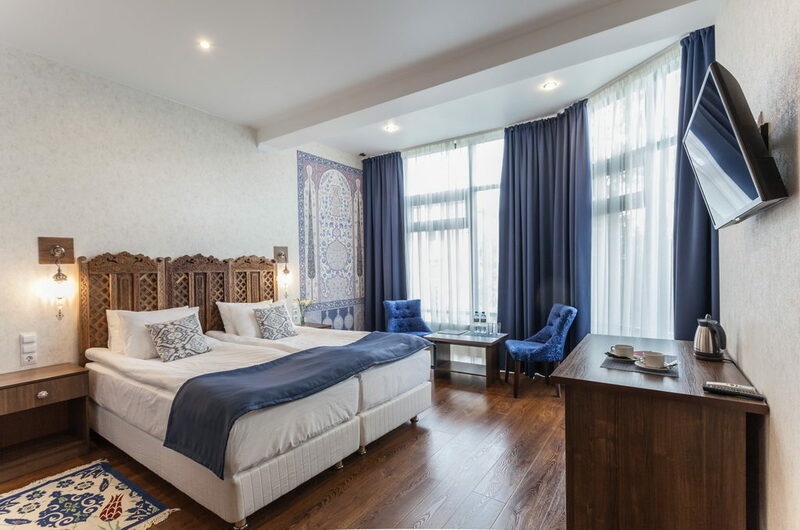 In September, first Halal-certified hotel The Silk Road was opened in St. Petersburg near Leninsky prospect metro station, in the south of the city, a 20 minutes ride from Pulkovo airport. Despite being Muslim-focused, the hotel is open to fans of any religion. The hotel has 17 rooms, including deluxe, semi deluxe and one double-room deluxe. 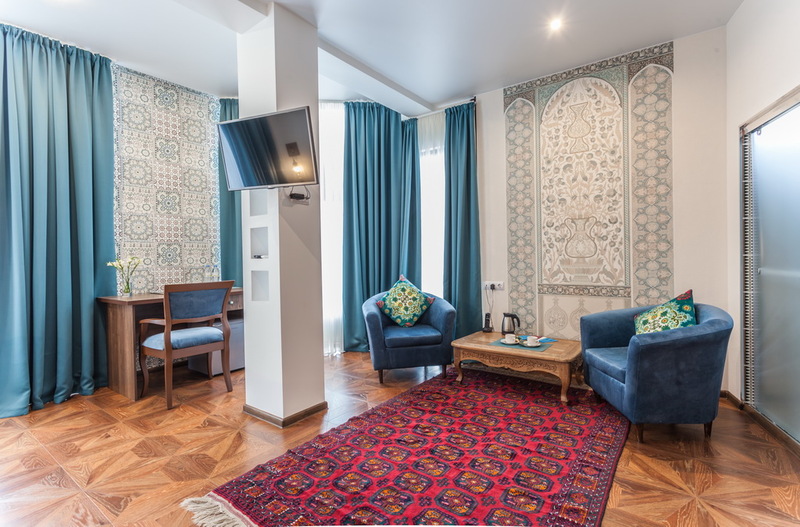 The interiors of the rooms are decorated to reflect the history and culture of the Silk Road countries like Turkmenistan, Afghanistan, Uzbekistan and others. Guests are naturally provided with all the amenities necessary for praying and other religious things: prayer mats, quiblas, Koran, etc. Separate serving when men are being served by men and women by women is not provided. The hotel has a three-star rating. Price range is from 2500 ($39) to 7000 ($108) rubles per night, what is on average in the city. Despite being a multi-religion country, Russia still has rather few religiously-specialized hotels and restaurants. Obviously, there will be a growing trend toward establishing Halal-certified hotels in St. Petersburg since a number of visitors from Muslim countries is steadily increasing. For example, this year has seen a growth rate of Iranian tourists of 110%. This led even to overbooking in the high starred hotels of St. Petersburg. By Crescent Rating, Russia is rated 49th among most Muslim-friendly countries.